Who: (3-5) Space is limited...on a first come, first serve basis! "Archery Equipment used in NASP® is highly standardized to be safe, durable, economical, and most importantly, universal fit for almost every student. 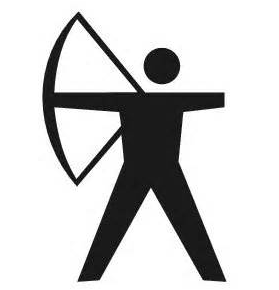 In NASP® learning the “process” of shooting is stressed far more than arrow scores. The only bow used in NASP® is a “Genesis®” compound which has no let-off and is adjustable from 10-20 pounds in draw weight at any draw length. 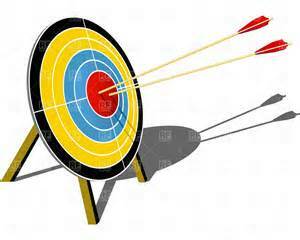 Only full-length aluminum arrows are used in NASP® to fit every student and to preserve NASP®’s perfect safety record. Sights, release aids, and stabilizers are kept out of NASP® to facilitate equipment sharing among students in archery class. Finally, NASP® students are taught to shoot at an international, 80 centimeter target face. While students start learning at an “always hit” distance of 5-7 yards or meters, competitive distances in NASP® are 10 and 15 meters." Registration: Please fill out the attached electronic or paper registration form and deliver payment to Mr. Hartmann during P.E. class or drop-off before/after school in the box on top of Mr. Hartmann's stereo.